Sometime the ridiculous deserves ridicule. 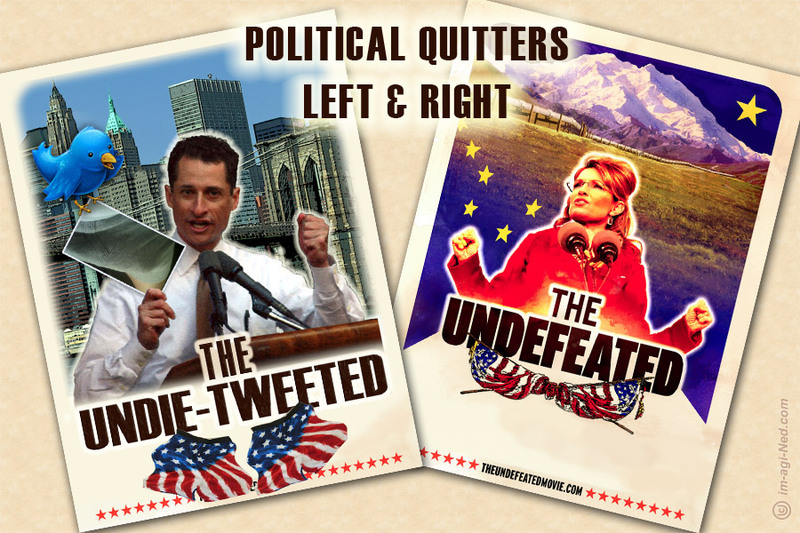 Sarah Palin’s new movie, The Undefeated, is coming out next week. I can’t resist a good pun and I especially can’t resist a bad one. “The Undie-Tweeted” movie came to mind and I knew it would have to have its very own promotional poster. No political points to be made here other than silliness… and then disgust. We need leadership in this country and we get this crap. Deserving of ridicule indeed. This is another one of my 4×6 “Polemic Postcard” graphic “artworks” that you are free to print onto 4×6 prints at any drugstore photo counter.